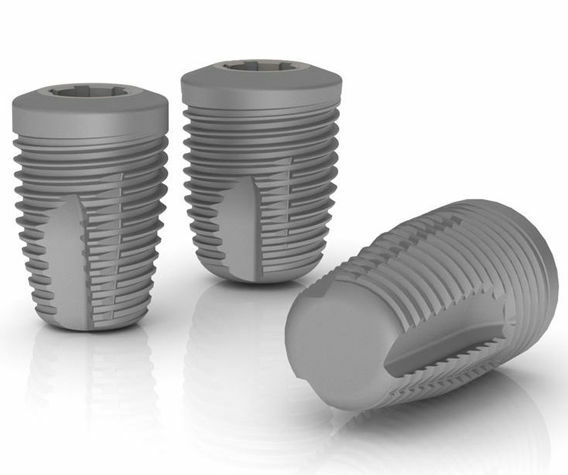 Wide implants can provide additional means of anchorage in challenging cases, such as extraction sites, sinus floor elevations and compromised bone, when compared to narrow implants. They can also act as rescue implants when initial stability is not achieved with a narrower implant. Prosthetic platform - The prosthetic platform measures Ø4.0 with six internal rotational positions. Flange - Straight flange. Compatible with Wide Emergence Abutment. Mid-section - Slightly tapered to achieve compression and increase stability in poor bone quality. Lower section - Tapered section is 4 - 5 mm long on all lengths. Apex - Narrow and spherical. Flange - Tapered flange to achieve increased cortical stability. Lower section - Tapered section is 3 - 4 mm long on all lengths. Apex - Rounded. Designed to be more forgiving in sinus lift situations. 1. Gottlow J & Sennerby L, 2010. ‘Influence of surface and implant design on stability of five commercial titanium implants. A Biomedical study in the rabbit’, AO Meeting, Post 83. The Implant Kit includes the Implant, Cover Screw, Healing Abutments in PEEK in two different sizes (Ø6.5 x 3.3 mm and Ø5.0 x 5.0 mm), and Healing Abutment Screw. The implants are ‘double threaded’ for fast insertion and are designed to achieve additional stability in poor bone quality. The Neoss® Implant System incorporates TCF® geometry by combining both Thread Cutting and Thread Forming (TCF®) features. Thread cutting is provided by the primary cutting faces. The secondary cutting faces engage and improve cutting in dense bone. The Neoss ProActive® surface is created by a multistage blasting, etching and super hydrophilicity treatment. This Surface treatment enables the implant to achieve a high level of wettability. The surface roughness is Sa 1.0μm over the fully threaded part of the implant and a reduced, Sa <0.4μm, over the flange (~2 mm) of the implant.